Multiple Meaning Words & Vocabulary Building BUNDLE! Teaching multiple words doesn't need to be difficult. 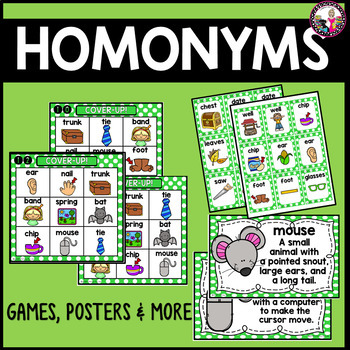 Here is a great product that will help you teach homonyms. This will be valuable to Els and anyone who needs guidance with multiple meaning words. Complete with pictures, words, and explanation to make teaching a tricky concept a breeze! Many ways to use and reinforce! 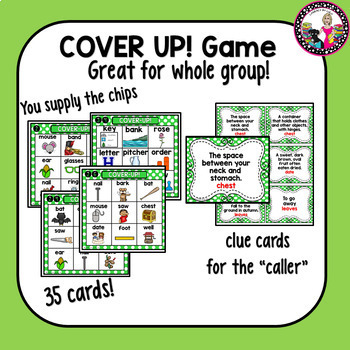 Clue cards for Cover Up! 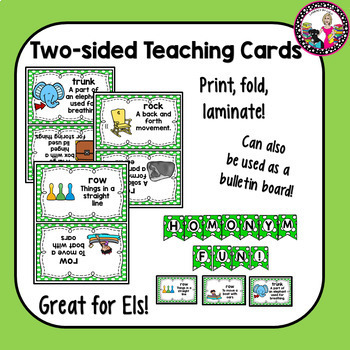 Plus editable templates to add more words or clue for you or your kids to create. This will be a sure-fire hit with your kids while teaching this important concept! **I hope you will consider following me for freebies and product updates!